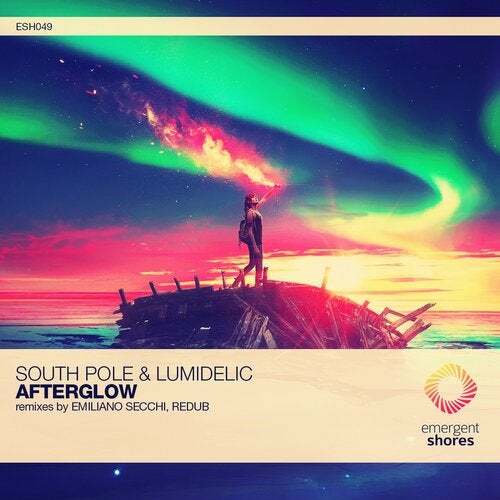 After a magnificent contest that saw a number of strong entries, we are pleased to deliver the full release of South Pole and Lumidelic's gorgeous single 'Afterglow', including both remixes from the contest winners. The original mix is a magnificent arrangement of luscious melodies and driving basslines provided by the collaborative efforts of Emergent Music residents South Pole and Lumidelic, both of which have made respectable names for themselves as leading producers in today's progressive house genres. Contest Grand Prize Winner Emiliano Secchi delivers a jaw-dropping chillout rendition, one that truly had our entire team in complete awe at the gracefulness and beauty this remix delivers. Following up on the contest is ReDub, who provides a unique twist on the remix, bringing out a nice tropical vibe that just couldn't be denied once we heard it. Easily one of our most diverse and unique releases to date, this is 'Afterglow'.